It’s Springtime in Middle Georgia - The time has changed giving us that extra hour of sunlight we are all craving. The birds are happily singing their song as we slowly begin to see the joy of new life blossoming in nature. Each March, our familiar streets flourish with the 350,000+ Yoshino Cherry Trees that are planted here. These stunning trees can trace their Middle Georgia roots all the way back to 1949 when William A. Fickling Sr. discovered a unique and unrecognized blossom – later to be discovered as the Yoshino Cherry Tree. The Fickling family continued to develop their love for this new tree and decided to distribute them throughout the city of Macon. When we begin seeing these pink blooms all over town, this is a sure indicator that the Spring season has arrived. In Middle Georgia, with Spring also comes the fun! In 1982, Carolyn Crayton established the Cherry Blossom Festival to celebrate the beauty of these trees and to honor the Fickling family for all that they had done for the city. The Cherry Blossom Festival is a beloved tradition that is perfect for all ages. This festival is a great time for Macon natives to come together as a community. We also get to share our community and fellowship with travelers from all over the world that are drawn here for the festivities. There is surely something to be enjoyed by all. This year the Cherry Blossom Festival will extend for two entire weeks starting March 22ndand ending March 31st. The festival has several events to choose from ranging from the Pink Pancake Breakfast, the Bed Race, concerts, food trucks, parades, and so much more. Our town will certainly be buzzing with activity in celebration of this Macon tradition. For full event details please see below. One of the most rewarding benefits of working for Live at Lofts - Student Housing is that we get to watch a number of our employees transition from a fresh-faced intern to an accomplished academic and employee. Daniella Chrabuszcz is one of those individuals. She came to us in March of 2017. Daniella has proved to be an asset to the team at the Lofts at Mercer Landing. Her fantastic personality and work ethic shine through each and every day. We can always count on her to bring originality to any brainstorming session and team exercise. Daniella is pursuing her bachelors degree in Biomedical Engineering and then continuing on to her masters in the same field. To keep in line with her STEM field endeavors, her minor will be in Chemistry. We are incredibly proud of her most recent accomplishment. Mercer University recently announced the President's List and Dean's List for the fall 2018 semester. Daniella was included on this list due to her meeting the rigorous grade-point-average standards specific to the college or school within the University. Congratulations!! We can’t wait to see the amazing things you will continue to accomplish. You finally got through the hustle and bustle of the holiday madness. It’s all over now. You’re returning to your normal routine. So, tell me - why you do not feel relieved or less stressed. Is stress becoming your new ‘norm’? Can you recall the last time you went to sleep without a worry in the world? Stress can be helpful in our day to day lives by increasing our productivity and boosting our memory. However, excessive stress and worry can actually lead to pretty serious health issues. In fact, according to the World Health Organization, stress is the health epidemic on the 21stcentury (Colquhoun, 2018). To better understand how stress can negatively affect your health, we must first understand the different types of stress. There are 4 main types of stress: eustress, acute stress, episodic acute stress, and chronic stress. Eustress tends to be a moderate stress that is interpreted as being beneficial or exciting. Acute stress is the most common form of stress. Acute stress tends to be short-termed and comes from pressures of the recent past or anticipated demands of the near future. Episodic acute stress, is very similar to acute stress. Episodic acute stress is when the individual seems to let acute stress run rampant. This occurs when an individual takes on too many tasks, becomes overwhelmed by all the demands with an inability to meet those demands. The last type of stress is called Chronic Stress. Chronic Stress can seem never ending like the stress of a bad marriage or a strenuous job. This stress continues over a long period and makes the individual feel as though they have little to no control. Now that we know more about the different types of stress, let’s dive deeper into why prolonged stress is so bad for the body. Stress is like a small crack in a windshield. If the crack is left unaddressed, its tentacles spread throughout the glass until it completely breaks down. Stress works the same way. If left untreated, stress rises and has growing negative impacts on your physical and mental health (CNC, 2018). The effects of stress also impact us emotionally. 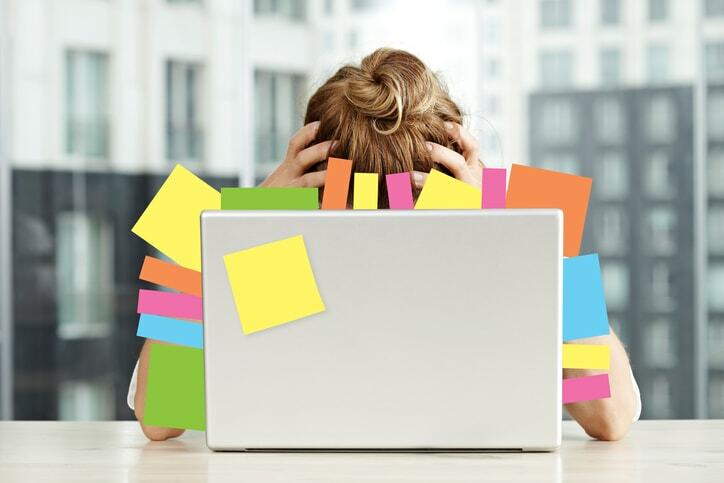 While some stress may produce feelings of mild anxiety or frustration, prolonged stress can lead to burnout, anxiety disorders, as well as depression. We all experience stress from time to time. It is when this stress becomes chronic and unmanageable that it starts to have a negative affect on our mind and body. In order to prevent further damage, there are several ways to effectively manage your stress levels. With these tools, you have the power to change your thoughts and transform the mind which in turn will change your life. If you’re feeling particularly stressed out or you’re just in a rut you can’t seem to shake it, try a few of these tools we recommended. Remember, it’s only temporary. You got this! If you’re looking for a last-minute gift or already planning out how best to spend those gift cards, consider some smart home devices. Having a smart home is where it’s at but when renting, your options may feel limited. Fortunately, there are several options on the market now that don’t require any hardwiring or a major overhaul. Gadgets like the Google Home Hub or the Amazon Echo Spot are great options for those looking to spend $150 or less. Google Home Hub can be synced with other home devices to offer a seamless connectivity that only requires the use of a standard power outlet and Wi-Fi. It has a standard tablet display so streaming YouTube cooking videos while preparing dinner is a breeze. Amazon Echo Spot is all about Alexa. It comes in at a few dollars less than the Home Hub and has a camera for video calls. Multitask and make that call to the parents while doing laundry. You know they’ll appreciate it! This can also be synced with other devices and requires only a simple power outlet and Wi-Fi. I don’t know about you, but lighting my home just right is so important to setting the mood and showcasing it’s décor. Flexibility is key, so dimmers and a variety of colors are an absolute must. Philips Hue Smart Bulb Starter Kit is compatible with your existing fixtures. To learn more about Philips Hue and other lighting options, check out this guide on smart light bulbs here. With TP- Link’s Mini Smart Plug you can make any device a smart device. Plug it into an outlet to then plug in a light, fan, gaming system or TV. You can then turn off and on the device with your smart phone or voice assistant. You can even set a timer. 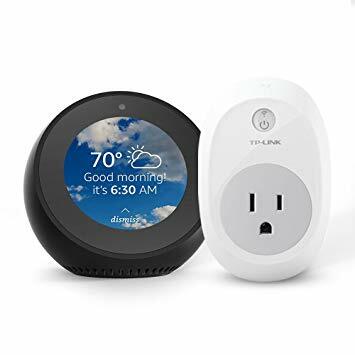 For those of us with family members who always fail to turn off the lights at night, this timer equipped smart plug is a power bill saver! This gadget can be found for around $15. With smart cameras, doorbells, and smart security systems, there are so many different and cool options out there for your security needs as well. Live the “loftstyle” the smart, efficient way! Where were you born? Fort Sill, an Army base in Oklahoma, but I grew up in Toccoa, Ga.
What is your favorite lunch spot? Spud Dogs. If you haven't tried their Cuban sandwich, you're missing out. What do you like most about the Lofts? The incredible atmosphere that the employees, corporate office, and mostly students create. This is a welcoming environment that fosters inclusion, opportunity for growth, and the ability to express yourself without fear of judgment. I don’t know about you but I am ready to be done with all the bumper to bumper traffic flowing in and out of downtown. As I sat at the 4th light of 12, I have to get through to cross over College Street, I told my son that we have to go back to our alternate route. Vineville Avenue has only become more congested over the years. This is undeniable proof that downtown is a flourishing destination for work, education, entertainment and dining. With employees of Navicent Health and Coliseum, city workers, small business owners and staff, families taking children to St. Joseph’s and Mount de Sales and so many others, those of us who must make the drive in can feel like sardines on a slow-moving conveyer belt. This dilemma points out yet another benefit to making downtown your home. Imagine walking or biking to work? Imagine the time and gas saved by living and working in the same centralized location. The Lofts provide well lit, gated parking, so your vehicle can stay at home while you work and play. No feeding the meter or worrying about the 3-hour limit. A daily schedule that cuts out the commute in the morning and afternoon can lead to more focused time with friends and family, implementing a solid wellness routine, and kicking back to some local entertainment. Sure, we all need to make that trip to the grocery store or mall, but when living downtown, that time spent in the car is on your terms based on what you decide. As more Maconites choose to make downtown their home, our eateries, entertainment venues, galleries, salons and retailers will flourish. There will be an undeniable demand for a full-service grocer within the 3-block radius of 2nd Street that will most likely lead to a smart entrepreneur or a grocery chain wanting a piece of the pie. A larger downtown population will enable our small business owners to thrive which will attract more new businesses that will contribute to our economy, create jobs and services, and solidify Macon as a strong competitive city capable of providing the best in opportunity and quality of life. By cutting out the commute and making downtown your home you can save time, money, and sanity while also bringing growth and stability to our much-loved city. For the last part of our five-part series, we look to Zebulon Road for an exclusive on our newest property, Lofts at Zebulon. Nestled in the heart of North Macon on Zebulon Road, Lofts at Zebulon will provide 241 residential lofts, four out parcel locations and ground floor retail space. The Lofts at Zebulon is the most exciting project in North Macon and will offer one, two and three-bedroom floor plans. This beautiful property will also feature signature Live at Loft amenities like a state of the art fitness center, a spacious clubroom, granite counter tops and elevator access. We will offer new Lofts Perks like a saltwater infinity pool, private garages, dog wash station, car wash & maintenance station and walking trails! We expect Lofts at Zebulon to begin pre-leasing Fall 2018, with a completion date in Spring 2019! We are very excited about this new property in the Live at Lofts family, and we hope you are too! For more information including floor plans, visit https://www.liveatlofts.com/property/lofts-at-zebulon! This week, the Lofts blog is all about our most recently opened property, Lofts at Capricorn! Completed in March 2018, the Lofts at Capricorn provide a rich culture of Macon music history in the heart of Downtown. With 137 lofts, a saltwater infinity pool and historic artwork from Capricorn Studios, the Lofts at Capricorn offer a luxury lifestyle that cannot be found anywhere else downtown. The Lofts at Capricorn is located at the corner of Poplar and Martin Luther King, Jr. Boulevard, placing it within walking distance of all that Downtown Macon has to offer. This property's namesake is the historic Capricorn Studio which is nestled in between two of our buildings on the property. Capricorn Studios is most widely known as the birthplace of The Allman Brothers, and is currently being restored by Mercer University. The rich history of Capricorn Studios can be seen throughout the property, making this the best place to live for anyone who loves music, history and culture. The property is composed of four mid-rise buildings and includes a fitness center and gated parking. Call 478.200.4567 to set up at tour today! This week, Live at Lofts is excited to offer the third installment of our series on our market rate properties with the Lofts at Navicent! Construction started on this beautiful property in November 2015 and it was completed in April 2017. Not only did the Lofts at Navicent bring 60 luxury lofts to the heart of the medical epicenter of Macon, but through a wonderful partnership with Navicent Health, we are excited to offer a state of the art fitness center to Navicent employees as well as our wonderful residents. Navicent Health also occupies the second floor of our building with their Employee Health Center, with three floors of luxury lofts located above. Alex Putnam, our community manager at the Lofts at Navicent, knows that she has a strong bias but says that this property is her favorite across our brand! Alex says that she loves being able to provide a luxurious haven for her resident to come home to each night after a long day at work. Email alex.putnam@liveatlofts.com or call 478.336.5229 to set up a tour! This week, part two of our Lofts Series with The Lofts at Bass! Construction began in October 2013 with Phase One that brought 54 luxury lofts and seven retail spaces that are occupied by retail stores, restaurants and healthcare facilities. Phase Two was completed in September 2016 that brought 27 more lofts and five more mixed-use retail spaces to the Bowman Road development. Lofts at Bass Phases One and Two provide 81 luxury lofts to North Macon with amenities such as a saltwater swimming pool, two distinct lounge areas, and a state of the art fitness center. Lofts at Bass have direct access to shopping, restaurants and a Publix Supermarket as well as Interstate 75. Stephanie Delay, the Community Manager at Lofts at Bass says that in her 17 years of working in property management, the Lofts At Bass is by far her favorite community. "We offer luxurious lofts, fabulous amenities," Stephanie says, "while also maintaining an atmosphere that makes everyone feel welcome and right at home." The Lofts at Bass currently only has two lofts available, a one-bedroom and a two-bedroom. All lofts have granite countertops in the designer kitchen, full sized washers and dryers, and cable and internet included in rent! Stop by The Lofts at Bass today at 5437 Bowman Road in Macon! This week, we're kicking off a five-part series on all of our market rate properties. Each week, you'll be able to read about our properties across Macon, learning a little more about what each one has to offer. This week, we look at the Lofts at 401 Cherry located in the historic Southern United Building. Nestled on the corner of Martin Luther King Jr Boulevard and Cherry Street, you'll find one of our two downtown Lofts property, the Lofts at 401 Cherry. The Lofts at 401 Cherry offers residents access to all that Downtown Macon has to offer. This property is within a five-minute walk of all of the shops, restaurants, and bar, meaning that you're never more than a short walk from fun! The Lofts at 401 Cherry offer one and two-bedroom lofts, and rent includes all utilities including cable and internet, and a full sized washer a dryer. Each loft has a signature view of downtown Macon, allowing every resident a perspective on the city that is hard to find elsewhere. The Lofts at 401 Cherry offer ground floor retail space. One spot is currently occupied by Sang's Thai Isaan Restaurant and top floor office space, so residents get the full urban experience. Contact Gordon Bennett at gordon@liveatlofts.com for loft tours and availability. Please contact Susan Bloodworth at susan@sppcommercial.com for information about our retail space. MACON, GEORGIA — Sierra Development Group and SPP Commercial Group announces plans for luxury condos on Mulberry Street in downtown Macon. The condos will be located at 423 Mulberry St. at the corner of Mulberry and Broadway. The plans call for 6 story, multi-purpose building, that will accommodate 10 condos and a bank on the ground floor. This now vacant lot will have gated, covered parking onsite for the residents, as well as a rooftop terrace that will be exclusive to resident use. There are two different floor plans, both with 2 bedrooms, 2.5 baths. Balconies overlooking downtown are included in both of the floor plans, with the largest balconies on the 6th floor. Exclusive elevator access from the lobby is directly connected to the covered parking. Private, temperature controlled, storage units will be located on the ground floor for resident use. The condos will include spacious floor plans with top of the line finishes. Potentially, the buyer will have the option of playing a role in the selection process of certain finishes, colors and flooring. Each condo will be available for purchase, not lease. Sierra Development Group has a long history of partnering with groups throughout Macon to cultivate and nurture the growth of Macon, specifically downtown and Mercer’s campus. Through these partnerships, one of which includes Mercer University, Sierra and SPP, have been able to play a large part in changing the landscape, culture, and perception of Macon life. This newest endeavor is unlike any other project in the history of downtown Macon. All of their current lofts are for lease only but this new, high-end, development will provide the first ever new-construction condos that will be available for purchase. Residents of Macon and those looking to relocate to the Macon area, have expressed a desire to be able to purchase a loft rather than lease. This project fulfills that request and is another move towards making downtown a walkable city with various living, dining and entertainment options. Sierra Development Group and SPP Commercial Group are locally owned and operated companies with a focus on excellence and growth. Sierra Development Group is located on the historic corner of Cherry St. and MLK Jr. Blvd. in downtown and is responsible for handling the management of the properties. Sierra and SPP’s portfolio currently includes, Lofts at 401 Cherry, Lofts at Bass I and II, Lofts at Capricorn, Lofts at Navicent and Lofts at Zebulon. Live at Lofts properties offer access to modern loft living in the heart of Macon’s most happening areas. The Live at Lofts brand strives to provide a community that no matter your stage of life, there is certainly a property that fits your needs. 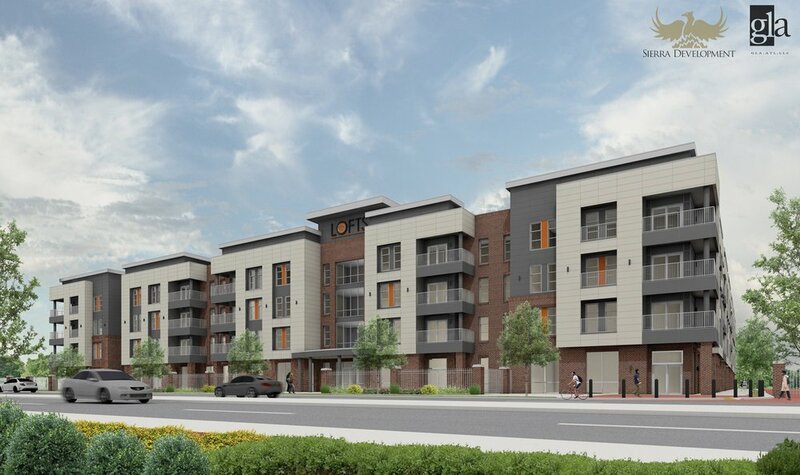 We have partnered with Mercer University to offer multiple student housing properties such as, Lofts at Mercer Village, Lofts at Tattnall, and Lofts at Mercer Landing. In addition to this, we have several market rate communities that are ideal for young business professionals and empty nesters such as, Lofts at Bass, Lofts at Navicent, Lofts at Capricorn, and our newest development the Lofts at Zebulon. When leasing at one of our student housing properties, it is our mission to ensure the best possible living experience during their college career. It is our hope that upon graduation, these students will love Macon, GA just as much as we all do and find a career here in Middle Georgia. Upon securing a position, the individual will then phase into one of our market rate properties. Brittany Onyeji is a Mercer University graduate who is now a practicing pharmacist at Navicent Health, Middle Georgia’s premier medical community. Brittany is the perfect example of the "Loft Transition" as she went from the Lofts at Mercer Village to now living at the Lofts at Navicent. Below is an interview with Brittany herself about her college career, her time at the lofts, and so much more! · What college did you attend for your undergraduate program? · What degree did you obtain there? Did you continue your schooling elsewhere after graduation? o I continued on to Mercer University College of Pharmacy in ATL. · Where did you live during your undergraduate program? o I lived on campus for the first few years. Once the lofts opened I was literally the first resident (along with my roommate). · What did you like most about living there? o I loved having full-sized beds, fully furnished units, washer and dryer, nice appliances, modern study rooms, security, and no curfew restrictions. · Why did you move out of the area? Why did you move back to Macon? o I moved out of the area to attend Mercer Atlanta for pharmacy school. I accepted a position here as a pharmacist at Navicent Health. · What drew you back to the Lofts brand when you moved back to Macon, GA? o I was familiar with the brand having lived at one of their properties previously. I was pleased with the unit, amenities, proximity to work, price point, ease of move, and staff. These units are like a piece of “Atlanta”. I feel closer to home even though I am away. The upgrades in these lofts are unlike others that I have seen at other complexes throughout Macon. I also love paying only one bill monthly. It was a no-brainer for me. · If you had to describe the Lofts in one word, what would it be? Moving forward with our theme of Downtown growth and progress, a question on everyone’s mind is parking. With new businesses, restaurants and residential developments moving into the downtown core, the need for on-street parking is only going to grow. In November 2016, Macon-Bibb County Commissioners approved a new downtown parking plan that allows Macon’s Urban Development Authority to fund the addition of parking meters, pay stations and other parking management systems to Macon’s downtown core – the area between Walnut and Poplar and Martin Luther King Jr. Boulevard and First Street. The downtown core contains 1260 parking spaces, and according to Alex Morrison, the Executive Director for the Urban Development Authority, around 850 meters should be installed by the end of this month. 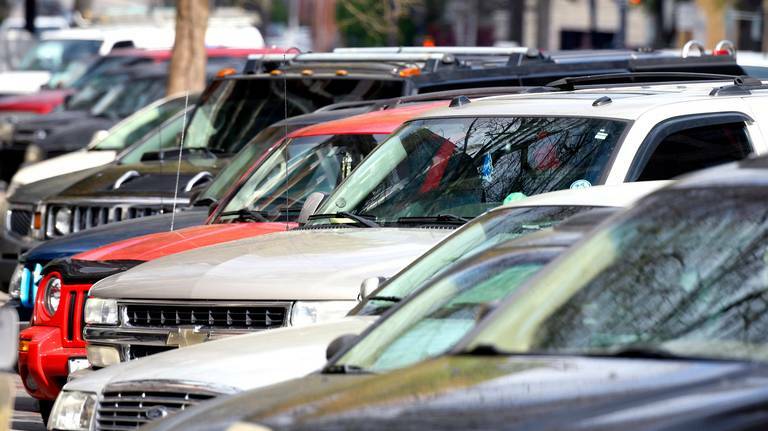 According to a March 2018 article by Linda Morris of the Macon Telegraph, paid parking will be enforced Monday – Saturday between the hours of 8 a.m. and 8 p.m. and will cost $1.25 an hour. These parking meters are anticipated to generate $1 million annually, which will support the parking system itself, and then any extra revenue will be put back into downtown through accessibility and parking improvements. Bibb Urban Development has contracted with Lanier Parking Meter Services to install and manage parking meters and the authority’s parking decks downtown. 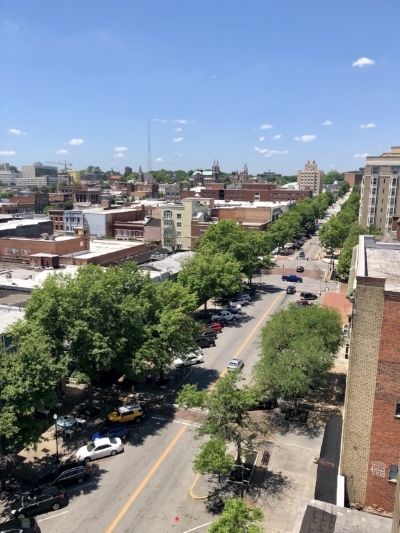 The bright side to this new parking system downtown is that there will be a higher turnover of available spaces because of the two-hour parking limit, meaning more opportunities for people to park downtown and enjoy all Macon has to offer. The great thing about living at a Lofts property is the gated, access-controlled entry parking! At Lofts at Capricorn and Lofts at Navicent, residents have guaranteed parking spaces. Both properties are located downtown, meaning an evening stroll down a block or two leads you directly to a wide selection of restaurants, bars, and theaters! You could even grab your morning coffee just one block from Lofts at Capricorn at Taste and See! Live it, Love it, Loft it! Life just got better at the Lofts! Spring has finally sprung in Macon, GA! The cherry blossoms are in full bloom and there is a nice warm breeze in the air. I don’t know if it is just me, but something about this time of year makes me want to be outside and enjoy this weather as much as possible. While taking a stroll downtown, I began to think about how the flowers weren't the only thing growing in Macon this year. The downtown area is certainly changing! Many new attractions have started to pop up and there are many more to come; including restaurants, hotels, retail space, office space, apartments, and more parking. One of the restaurants that is set to open later this year is Your Pie, a brick oven pizza restaurant that allows customers to create and customize their own personal pizza. It will be located on Poplar Street beside Taste and See Coffee Shop. According to the Newtown Macon website, several other eateries will be coming to Poplar Street as well including Decadent Desert Bar and Famous Mike's. To help with the influx of people these tasty attractions are sure to bring, more parking is also being added throughout the downtown area. If anyone has ventured down Poplar Street lately, it is easy to see the construction that is going on in the median. This area is being turned into an attraction itself. The City of Macon is transforming the Poplar Street Commons into an area that will contain new concrete, trees, and landscaping. Not only will it be beneficial for downtown events and festivals in the future, but all the new green space is also sure to be easy on the eyes. There are also many new apartments and lofts coming to the downtown area. The Lofts at Capricorn just opened up on MLK Jr Blvd. It is built at the site of Capricorn Records. When walking through the doors, the old town music feel is immediately mixed with a modern touch. The walls are covered with records of the artists that once made music in that very location. It'll make someone want to pull a guitar right off the wall and begin strumming a tune! All of this along with beautiful state of the art lofts makes this one of the hottest new places to see and live in the downtown area. It is interesting to take a walk through the streets of downtown Macon and make a mental note of what is seen now, while also thinking back on how the area has already changed. It is a privilege and a pleasure to watch this town grow. And just like this spring season, Macon, GA is really starting to bloom! WE WILL CONTINUE TO UPDATE THIS POST WITH DETAILS REGARDING THE AMENITIES, FLOOR PLANS, FINISHES, BUILDING LAYOUT AND MUCH MORE. STAY TUNED! Yesterday, March 29th, was our quarterly employee luncheon. The Lofts family came together to eat and catch up on work and life. The weather so graciously cooperated so we were able to lounge by the gorgeous infinity pool at the Lofts at Capricorn. One of our favorite local eateries, Growler USA, provided a fantastic lunch for our employees to enjoy. Be sure to check them out! They are located at 1530 Mercer University Dr, across from Five Star Stadium. This quarter, we recognized one of the BEST of the best. Shonda Ray has been with the Live at Lofts family since Summer 2016. She has set herself apart by displaying her many strengths and job role flexibility. Shonda comes to work each day with her beautiful smile across her face! She works with great attention to detail to make the Lofts properties sparkle. In her role at a housekeeper she works tirelessly to maintain the image that the Lofts brand has come to be known for. Customer service is a key priority for her and she strives to meet all of her residents’ needs. Shonda can also be found in the leasing office from time to time. When staff is short, she fills in as an administrative assistant with ease and grace. Our hats off to you, Shonda! Keep up the good work! Thank you to all our staff! No matter the task, the role, or the title, we are all crucial to the success of this amazing company. What do you like most about the Lofts? The exceptional level of customer service we provide. I love when my residents come to me with a problem and end up leaving with the issue resolved and a smile on their face! These are my people! What do you like most about Macon? I love the city vibe and the warm sense of community Macon offers. I am recently engaged!! We are in the process of planning our wedding as well as closing on our 1st home! I cannot wait to start decorating, settling in, and start making memories together! Favorite part about the Lofts: There are so many things that I love about working for Sierra Development; it is hard to pick a favorite! But if I had to choose it would be the people. I truly enjoy my coworkers! We are all passionate about our jobs and excited about the products we produce. As a company, I feel that we are always trying to do things to make Macon an even better place to work and live than it already is. What I am looking forward to: There is always a new project on the horizon for Sierra Development, so there is always something exciting to look forward to! It really is a privilege to watch our projects grow and turn into something that is beneficial to so many people.